TechWinter is the premiere online source for aerospace, automobiles, consumer, gadgets, healthcare, mobile and telecom news. All Skoda cars are priced incredibly well. They’re certainly a brand that prides themselves on being affordable. They look at the competition, then make a car that stands up to it, and costs a lot less. Many people save money because they choose to buy a Skoda instead of one of the most popular brands out there. Don’t think that cheapness means a lack of quality, because you’re still getting a refined machine. One of the best things about these cars is that they’re large. But, I’m talking about internal space here. Skodas are notorious for being spacious and comfortable on the inside. Look at them from the outside and they seem the same size as the competition. When you open the doors, you’re greeted to lots more legroom and a huge boot. Even their supermini, the Fabia, has way more room than all of its rivals. This links to the point above because it represents awesome value for money. You’re essentially getting a lot more out of your car, without having to pay too much for it. This is why many people are choosing Skoda when buying a family car. 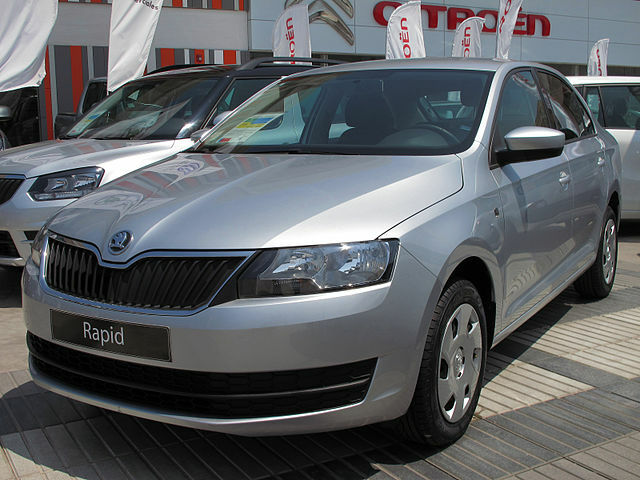 Skoda offers a wide range of cars that are easy for you to get your hands on. It’s not like some brands where you might have to travel far and wide before finally stumbling upon a dealer. There are loads of dealers, like Currie Motors, that are looking to sell Skodas. Plus, there are multiple models available for you to purchase too. They do cars for different types of people, depending on your needs. Whether you’re after a comfortable family car, or something a bit smaller, Skoda has it covered. They have loads of cars available, and you’ll be able to find dealers with ease, what more can you ask for?! Back in the day, people used to laugh at Skoda and the cars they made. Owning one was seen as something of a joke. Consumers stayed away from them because they were a small brand and no one knew much about them. You had Ford, Volkswagen and Vauxhall taking all the plaudits. Why on earth would you get a Skoda when there were better options out there. Now, things have changed, and they’re a highly respectable brand. In fact, they’ve been winning lots of awards for the reliability and safety of their vehicles. Skoda is making some of the best cars around, and beating the competition. If you want a car from an award-winning manufacturer, get a Skoda! Now you can see why I was raving about them at the start. Skoda is very good at making cars, despite not being well-known by the public. If you’re about to buy a new car, check out their range, and you’ll like what you see. What Role Does Technology Play in Protecting You?